This turned out to be the best batch of black beans I’ve made so far and thanks to this blog I won’t forget the exact recipe. Sammie (hottie-in-residence aka husband) loves black bean and most of this batch was gone in one sitting when there should have been left overs. This one’s a keeper. 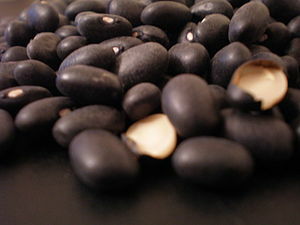 Besides, black beans are a great source of protein, dietary fiber and folate.